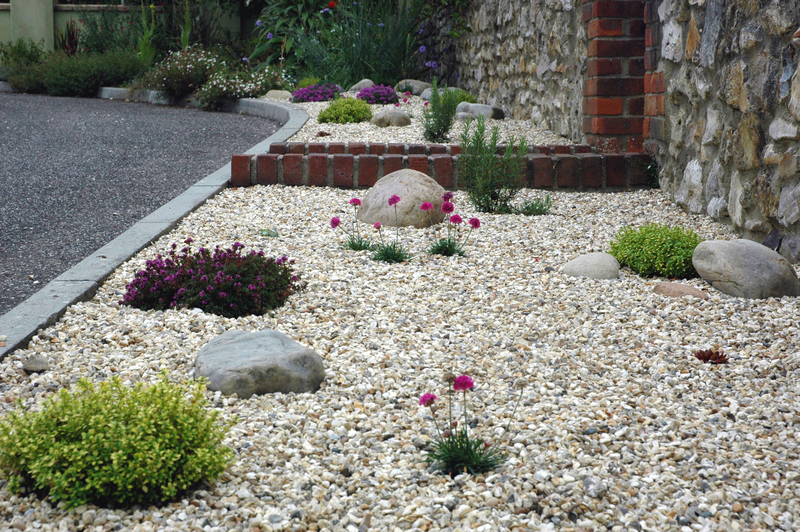 Creating a low maintenance solution for a dry front pavement border……. 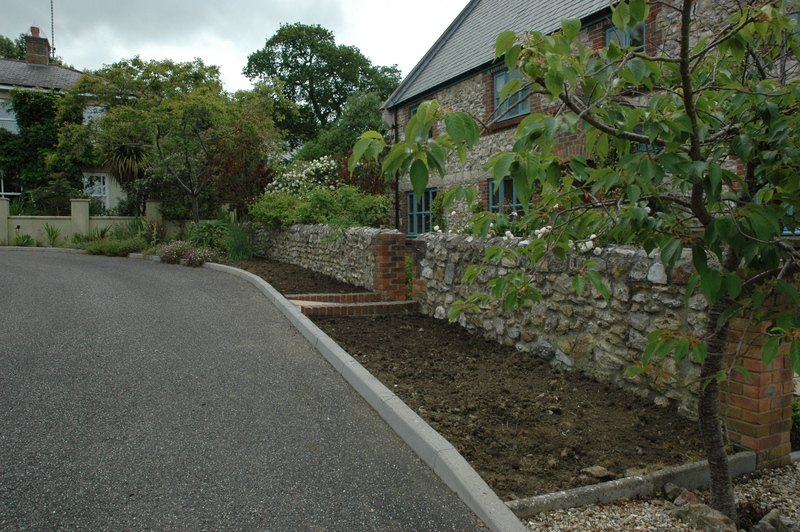 The existing south-facing pavement area was difficult to mow and keep weed-free, as well as being very shallow. 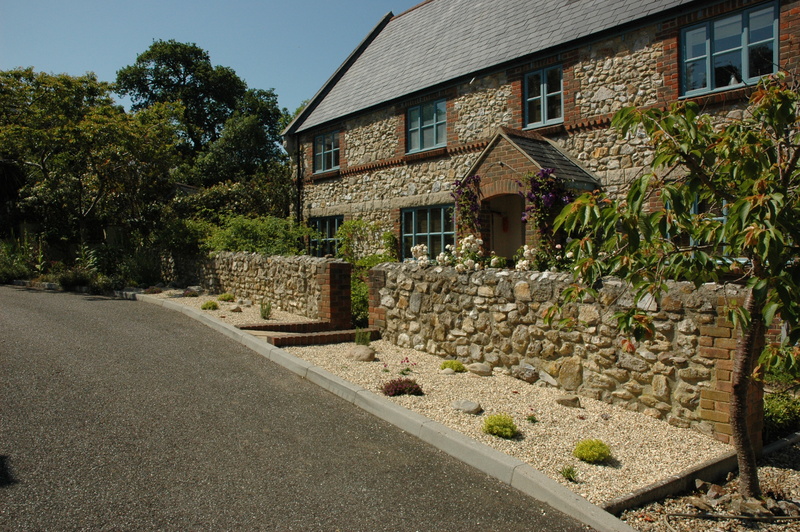 So we lifted the turf, planted through membrane, and topped with Dorset flint gravel and caledonian boulders. 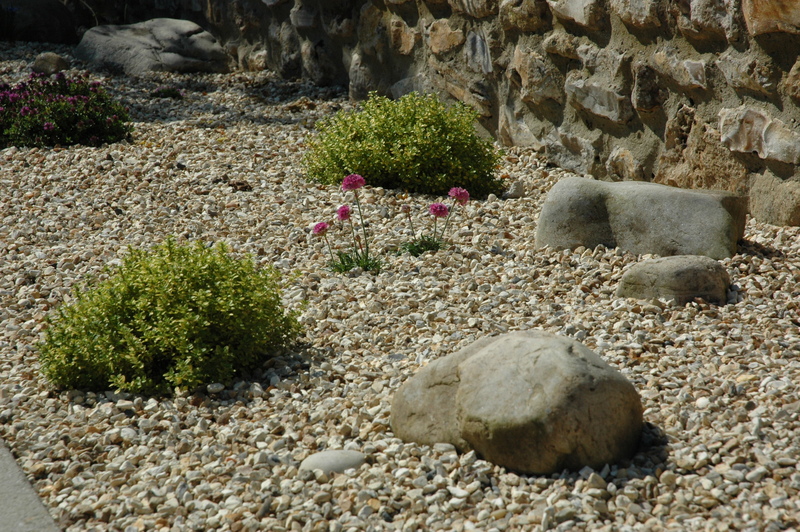 The planting scheme was kept simple with only 4 plant varieties – flowering thymes, sea thrift (Armeria maritima), sedums and houseleeks (sempervivum) from Rainbow Plants. Nice. What a lovely solution…simple but very effective. Yes …. choice ! Dad.